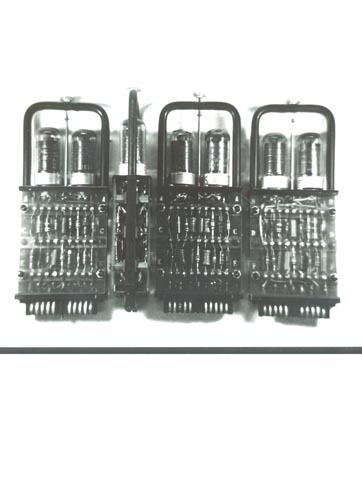 B&W image of an early pluggable unit. It has 6 tubes with associated components. Recto bottom : " NR 3138-Box5 #6"